Man City boss Pep Guardiola suffered a setback this week after it was reported that back-up goalkeeper Claudio Bravo could miss the rest of the season due to injury. As per BBC Sport, the 35-year-old ruptured his Achilles tendon during training and so it’s expected that he will now miss most, if not all, of this season. That raises a concern for Guardiola, as youngster Daniel Grimshaw is his only other option between the posts if Ederson is unable to feature and given City are fighting for major honours this season, that is perhaps a risky position to be in. In turn, according to Mundo Deportivo, the reigning Premier League champions are considering a swoop for Barcelona goalkeeper Jasper Cillessen, who has been left frustrated at the Nou Camp over his lack of playing time given the fierce competition offered by Marc Andre ter Stegen. With that in mind, it may not be the most appealing of moves for the Dutchman as he may well simply be swapping the Barcelona bench for the Man City sidelines as deputy to Ederson. As a result, it would seemingly be a surprise if a deal was agreed, and so Guardiola may well have to start considering alternative options while Bravo undergoes further tests this week to determine how long he will spend in the treatment room. Meanwhile, it is suggested by Mundo Deportivo that a deal could be done for Cillessen as rules may allow it if a player is set to miss the entire season. 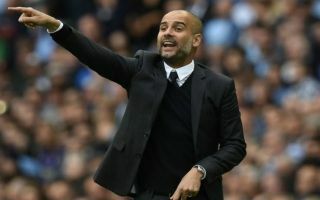 However, depending on who he wishes to target and the nature of the deal, Guardiola may well be forced to wait until the January transfer window to address the issue properly.